Once you fall in love with the properties of bias, you can create interesting design effect, including a softer drape or a closer-to-the-body fit, by converting all or part of a garment from straight grain to bias. To do this, draw a line perpendicular to the pattern's lengthwise grainline. 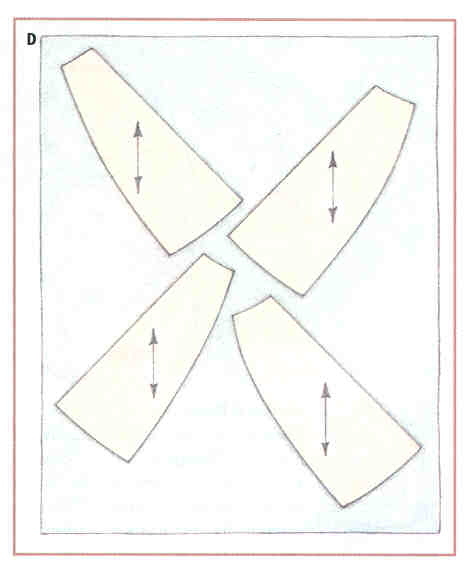 Fold the pattern so these two right angle lines meet (A). this intersecting crease is the new bias grainline. Once the fabric is grain perfect, you're ready to cut. 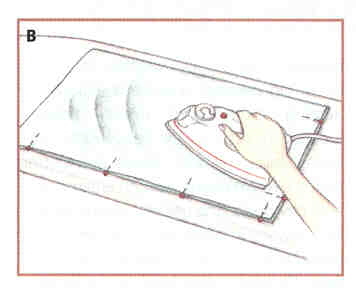 To avoid distorting fabric, work on a large, flat cutting surface. For better control, cut your garment single layer. Use tissue paper or nonwoven pattern duplicating material to reproduce the necessary pattern pieces. When it comes to bias, a few "extras" at the layout stage will make the sewing part easier. 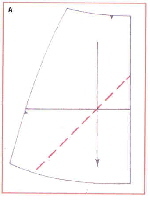 Increase all seam allowances to 1½" (3.8cm) to allow for any fitting adjustments caused by the stretching of the bias. When fabric is cut along the bias, the intersecting threads fan out, elongating the cut edge. Moving the stitching line farther away from this "expansion" will help eliminate rippled seams later on. This extra seam allowance will come in handy if you decide you want a slightly looser fit. Before laying out the fabric, cover the cutting surface with a layer of tissue paper. (Smooth-surfaced examining table paper, available in rolls from medical supply stores, is an easy-to-use, economical version of tissue paper.) pin and cut through both layers. 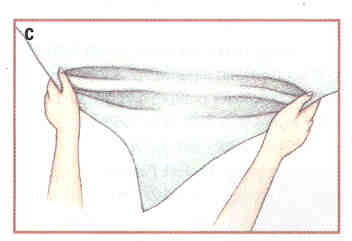 Leave the paper stabilizer intact until appropriate seams have been staystitched. Mark all stitching lines before removing the pattern from the fabric. Thread tracing, chalk or tracing paper (also called dressmaker's carbon) and a tracing wheel are good choices.